A few changes will make you more ​motivated and let your ambition shine. ​Decorating your home office with beautiful accents and artwork that inspires is one thing—however, creating a space that is functional and boosts productivity is another thing entirely. So, what methods can you consider to ensure your home office is not only a stylish space but also one that increases motivation and ambition? 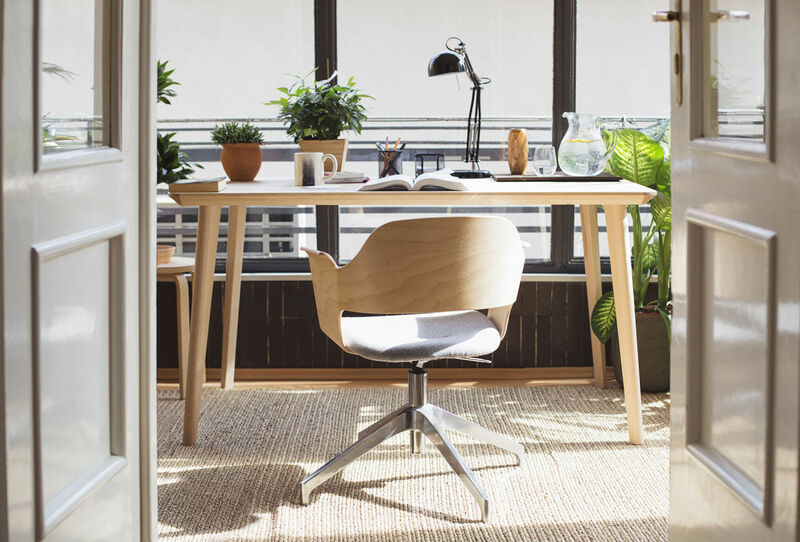 As more and more people work from home, the emphasis on creating a beautiful office space to work in has never been so important—however, functionality is a vital aspect of productivity. Invest in filing cabinets, whiteboards or chalkboards, and desk organisers to keep everything neat and tidy. This will encourage you to keep organised and in turn boost productivity. Once your home office is optimised with the basic functional furniture you need, then you can focus on adding the little inspiring touches that will really bring your working space to life. You might be surprised how much simply changing the layout of your home office could impact your productivity. If your desk faces a wall, try arranging it so that you have a window view instead - it will help to offer some respite from staring at the computer screen all day. Consider too which is the noisiest spot in the room, for instance near an adjoining room or the hallway, and plan your layout so that you'll be sitting in the quietest spot. Lighting can make all the difference when it comes to boosting creativity, as a dark space can leave you feeling tired and uninspired. If your home office doesn't get a great deal of natural light, invest in lamps, lanterns and other lighting to brighten the space. Arrange plenty of mirrors around the room to reflect any natural light you do have and create the illusion of luminosity. Additionally, consider painting your office space in a pale pastel shade, which will instantly make the whole area feel lighter and in turn boost productivity. While you may not consider style and inspiration at the forefront of productivity, a beautiful space which is designed to encourage innovation and imagination can have an incredible impact. Decorate your home office with inspiring artwork as well as objects and accessories which bring a smile to your face to create a happy space. Add functional accents such as paperweights in bright, bold colours to inject a sense of playfulness and creativity that will help to ensure your productivity levels soar.